To celebrate the 50th Anniversary of Nigeria’s Independence, Oval House Theatre presents Omo London, a season of plays examining the identity, heritage, and legacy of Nigerian communities in the UK. 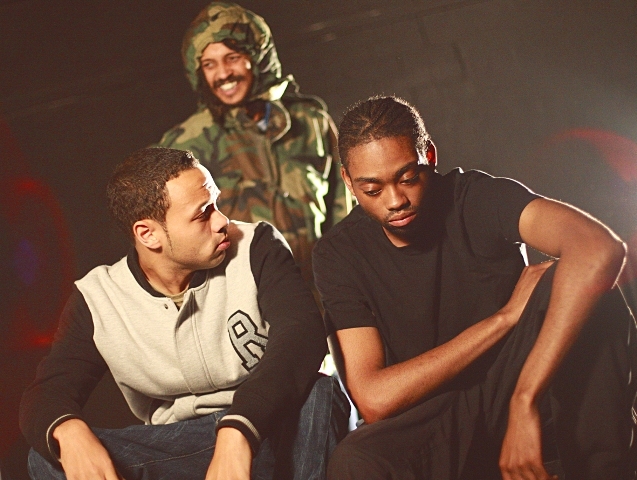 Written by Arinze Kene, 22, and artistic director of Inner City Theatre, Estate Walls, is one of the plays being staged. Told through rich, witty and lyrical street language, Estate Walls chronicles the story of Obi, a writer, who dreams of one day leaving the London estate where he currently resides. Soon, conflict arises between his ambitions and loyalty to his friends. In his own words, Arinze Kene explains why he wanted to write about the many complex characters estate life has to offer. Belinda: Where does your passion for theatre stem from? 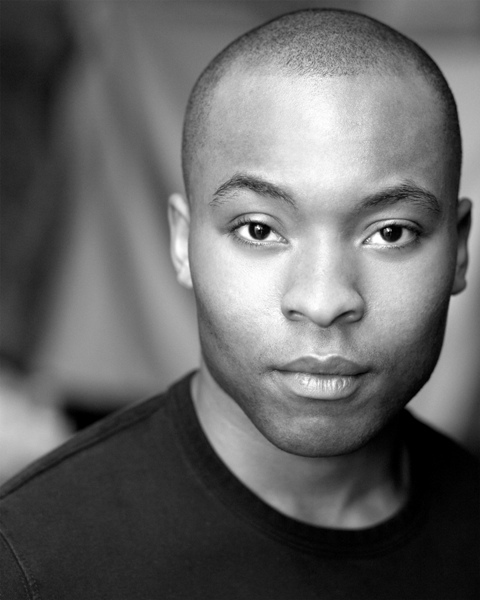 Arinze Kene: I started off and still currently work in London as an actor. My interest in the dramatics arts brought me to the theatre. Belinda: What’s the inspiration behind Estate Walls? Arinze Kene: My bedroom window looks out on an estate and from the age of 10 to 16, I spent many a summer night on an estate; relaxing, play fighting, causing trouble, and talking about girls. When I started writing I knew it was the first story I wanted to tell. I wanted to tell the story about the complex relationship between these urban characters; the love and the brotherhood. Belinda: This is your third stage play and first full production, how would you describe and judge your progressions so far as a playwright? Arinze Kene: Though I have written other plays, yes, this is my first full production. Estate Walls has been through many workshops and as Paul Abbott says ‘writing is re-writing’ – you learn so much from having to re-write, cut and correct things in your script. I think as a playwright I’d like to think I’ve gone from strength to strength. Everything I write feels tighter than the thing before. Belinda: Your writing style/voice as been described as authentic and evocative, laced with rich, witty and lyrical street language. What is it about language that gets you excited especially when writing for the stage? Arinze Kene: One of the main aims for Inner City Theatre and I, is to embrace and celebrate Inner City characters. I am ‘Inner City,’ I am ‘Urban’ and it shows because I speak a certain way. I don’t sound real posh and I say certain things the opposite way around to how it would be written in English Literature. In my writing I celebrate that vernacular. I find it beautiful and poetic. Belinda: Is there a particular age group of people you have in mind when you are writing and so that comes through in the language that you use or is it a case of this is the language you feel at home with when writing? Arinze Kene: Being a writer gives me the freedom to create characters. So one day, I may write a play where everybody speaks real posh. I use the language as it is fitting to the story. My audience? One of my aims is to re-engage young people, black people, and urban people with the theatre by creating excellent theatre that reflects their own energetic voice. Belinda: And your play is part of ‘Omo London’ season at the Oval House season of plays, which examines the issues of identity, heritage, and the legacy of Nigerian communities in the UK. It is then fair to assume that your character is of Nigerian heritage, what’s the story that you want to tell from that point of view as far as heritage and identity is concerned? Arinze Kene: The reason Oval House programmed my play is because I am a Nigerian British playwright. I was born in Lagos. My character Obi is Nigerian but not much of his background comes up in the play. The same way, when I was younger and lived on an estate, we were all ‘Inner city’ and that’s what mattered. It was not about the country you came from or your race. 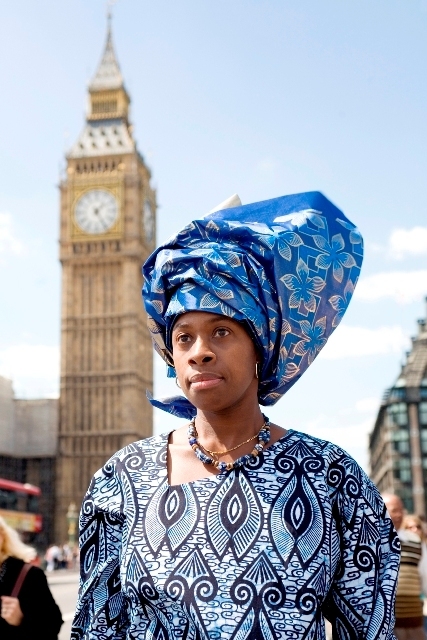 Belinda: Why is it important to hold a mirror up to these issues (identity, heritage and legacy) from a specific sensibility, which in this case is Nigerian in a multicultural society like Britain today and are you comfortable doing that through your work/writing? Arinze Kene: I think more plays like Estate Walls need to be programmed in theatre. British theatre has been documenting life in Britain as far as…well, a very long time ago. And to not write plays like Estate Walls would mean missing out on documenting a whole margin of people living in Britain. Belinda: Its interesting the Oval House is dedicating a season of plays which celebrates of Nigeria’s Independence and in so doing is giving Nigerian playwrights in the UK the stage to showcase their work, how important is this move to the career of those whose plays are being staged and read? Arinze Kene: Having your play read can lead to your play being staged, as was Estate Walls. At any rate, a writer with a complete play would say yes to having it read by professional actors before an audience. The writers can then go and re-draft it also. Play readings have been very beneficial in my progression as a writer. Belinda: Estate Walls has elements which constitute a young man’s rites of passage in life; issues of finding one’s self, defining your ambition/vision and loyalty to friends. Is this an experience you have had or observed in others and so wanted to explore and expose how our environment shapes us as human beings and the impact it has on our lives? Arinze Kene: I think everybody has experienced being pressured to not be himself or herself. I loved drama in school but didn’t take it seriously because if I did my friends would’ve called me a ‘gaylord’. The play explores Obi’s struggle against the grain. Belinda: What are the points of discussion/topics about life that you want your play to raise with the audience? Arinze Kene: I would like my audience to go away, proud to be from the inner city/cities or know people who live/come from there. I would like them to go away having being educated about how beautiful these urban characters are and I hope to re-stimulate the debate around under-representation and diversity. Belinda: What kind of emotions about friendships/relationships and of course, the value of having dreams/ambition do you hope this play evokes in those who come a long to see it? Arinze Kene: This type of storytelling is not visible within the theatrical landscape of contemporary Britain: yet there is a high demand to see these inner city characters on stage in a positive light. I hope to create a pattern that might be a blueprint for other writers. Belinda: What do you want them to take away from it based on the interpretation that you present to them? Arinze Kene: With Love, I hope for them to take from it what they will. Inner City Theatre is a company armed with the vision of exploring the many facets of London’s urban experiences; inspire young, black and urban audiences to re-engage with theatre, and to re-stimulate debate around misrepresentation and diversity. Estate Walls, is its inaugural theatre production. Images are courtesy of Ikenna Mokwe. To Win two set of tickets for a performance of Estate Walls on Saturday 25 September and the debate, Stages of Independence, answer the following questions by commenting on the blog. Where Was Arinze Kene born? How many plays has Inner City Theatre produced? First person to comment gets both tickets if you get both questions right. If you get one question right, you only get tickets to the debate. You must be available for both events on Saturday 25 September. You must have a plus 1 to get both tickets and if you don’t , you only get one ticket! This entry was posted on Thursday, September 16th, 2010 at 3:33 pm	and is filed under Black Britain, Interviews, Journalism, Nigeria, People, Theatre Interviews. You can follow any responses to this entry through the RSS 2.0 feed. You can leave a response, or trackback from your own site. Arinze was born in Nigeria – Lagos. Inner City Theatre has produced 3 plays (including Estate Walls)!!! Have I won? Arinze was born in Lagos, Nigeria and the Inner City Theatre has produced 3 plays in total including this. Can you make Saturday 25th September evening?